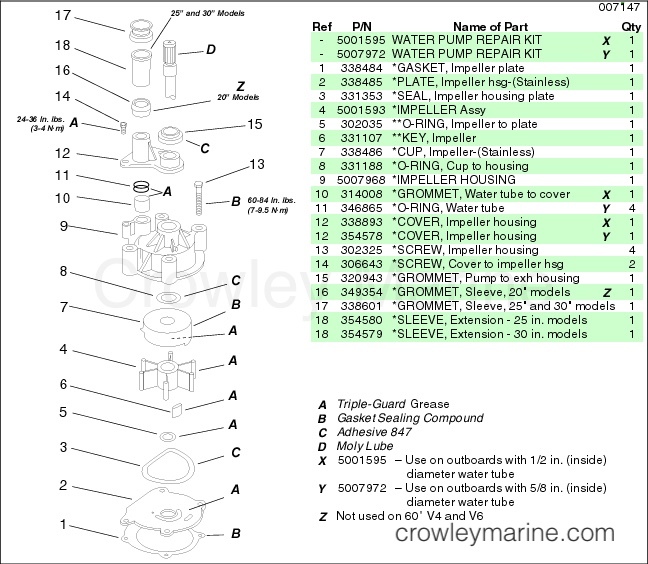 Use this instruction sheet when installing the above water pump kits on Evinrude® outboards, 75 – 300 Hp. Always wear EYE PROTECTION AND APPROPRIATE GLOVES when using power tools. 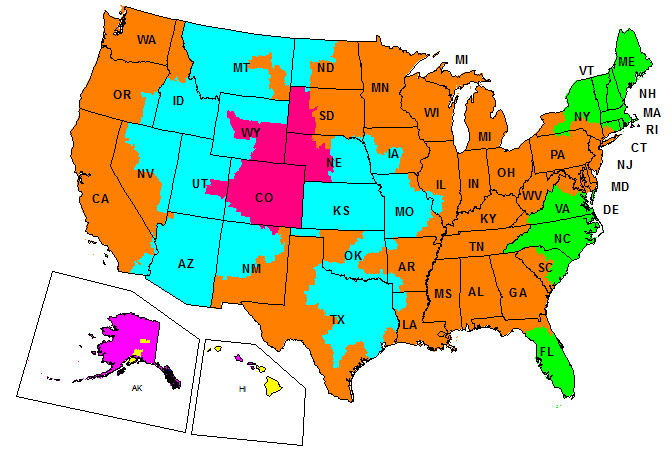 Unless otherwise specified, engine must be OFF when performing this work. This document may be translated into other languages. In the event of any discrepancy, the English version shall prevail. Lightly coat the exterior rim of the impeller cup with Gasket Sealing Compound. 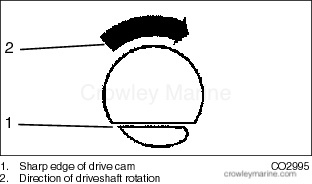 Install the cup in the impeller housing. The cup locks in place in the housing with a square index tab. On outboard models with 1/2 in. diameter water tube, install the water tube grommet with the inside taper facing up. On outboard models with 5/8 in. 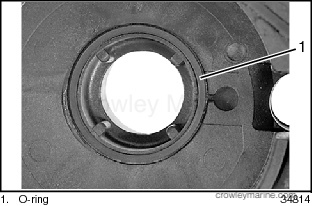 diameter water tube, apply a light coat of Triple-Guard grease to the inside of the impeller housing water tube cavity and to the water tube o-rings. 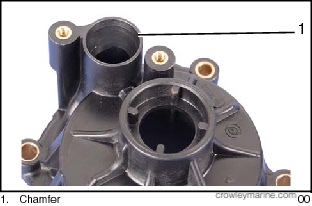 IMPORTANT: Impeller Housing, P/N 5007968, can be identified by a chamfer on the inside edge of the water tube fitting. On outboard models with 5/8 in. 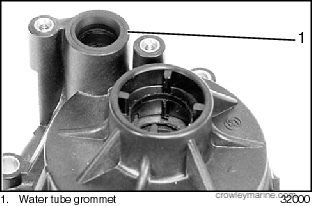 diameter water tube, remove water tube from exhaust housing and replace o-rings. Apply a light coat of Triple-Guard grease to the o-rings and reinstall water tube in exhaust housing. 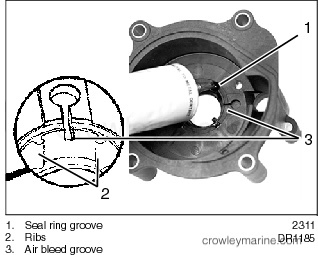 Apply Triple-Guard grease to screw threads and install the impeller housing cover. 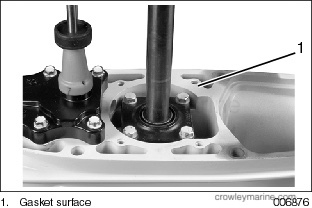 Tighten screws to a torque of 24 to 36 in. lbs. (3 to 4 Nm). Lightly coat the inside of the liner with Triple-Guard grease. 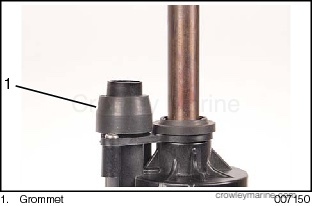 With a counterclockwise rotation, install the impeller into the liner with the slot for the impeller key facing out. 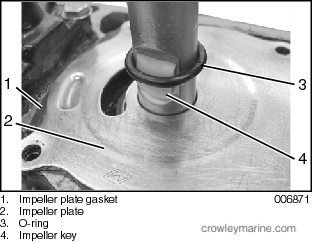 NOTICE: Make sure the impeller engages the impeller key. 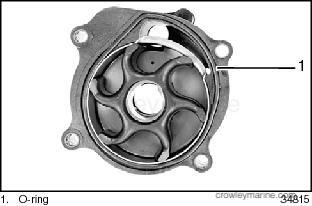 Serious powerhead damage will result if impeller key is not in place. 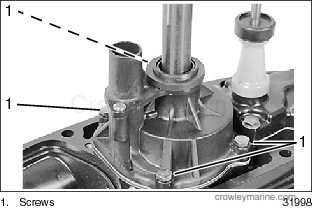 Align the impeller housing with the gearcase. 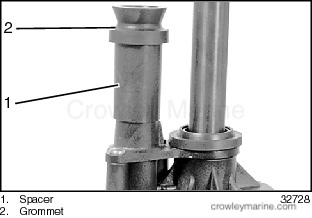 Apply Gasket Sealing Compound to threads of the four impeller housing screws. 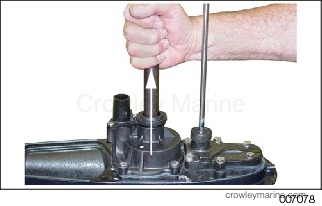 Tighten the screws to a torque of 60 to 84 in. lbs. (7 to 9.5 Nm). On 20 in. 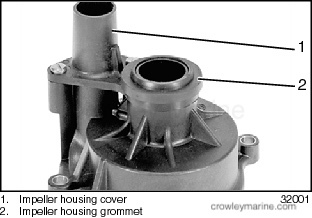 outboard models (except 60° V4 and V6), place Grommet, P/N 349354, on housing cover. On 25 in. and 30 in. 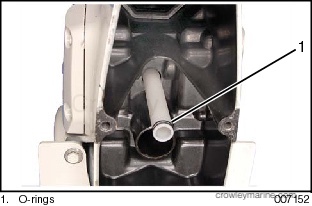 outboard models, place the appropriate water tube sleeve and grommet on the impeller housing cover. NOTICE: Before installing gearcase, shift rod adjustment MUST be checked. Refer to appropriate Service Manual.